Best Materials for the Bathroom! The decor in our bathroom can transform and completely improve our homes, helping us to define the type of environment that we want for ourselves. We all like to enjoy beautiful and spacious rooms—and if they are designed by quality professionals, even better! But on the other side of coin, we like a bathroom that is fully optimised. It would not make much sense to have a bathroom that is larger than our own living room or bedroom. Therefore, our bathrooms are often the hardest to design when it comes to decor and surface area. Regardless of the size, however, we need a bathroom that is stylish! To remove any doubt, today at homify we will present you with a selection of decor and materials that will inspire you in your very own home! 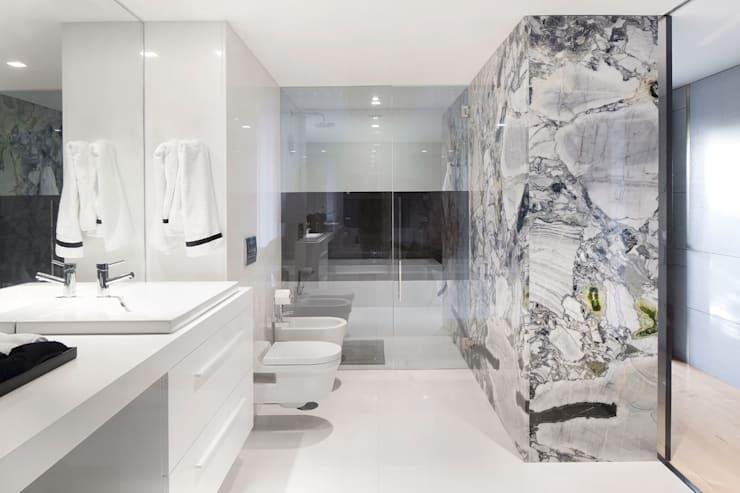 Marble is one of the best materials to use in the bathroom as its always an elegant solution. In many cases, for economic reasons, imitation marble is the easier option. If you're looking to use marble to cover all of the bathroom surfaces, this is a great option! Marble adds sophistication to a space and is very versatile, adapting to various decorative styles. We suggest lining your bathroom with large wall tiles, made up of different patterns and textures, like in this design by Gavinho Associates. Dots, stripes and flowers can also create a unique-looking wall as well as a landscape of bright contrasts. To avoid overloading the space, use the fewest possible ornaments and accessories. Also opt for a transparent shower screen or no screen at all. Minimalist at its best! Studio MK27 provides us with this beautiful bathroom, which integrates wonderfully with nature, where a rustic style mixes with the contemporary. The elements of this space are intertwined, with the fascinating and poetic view of the exterior. 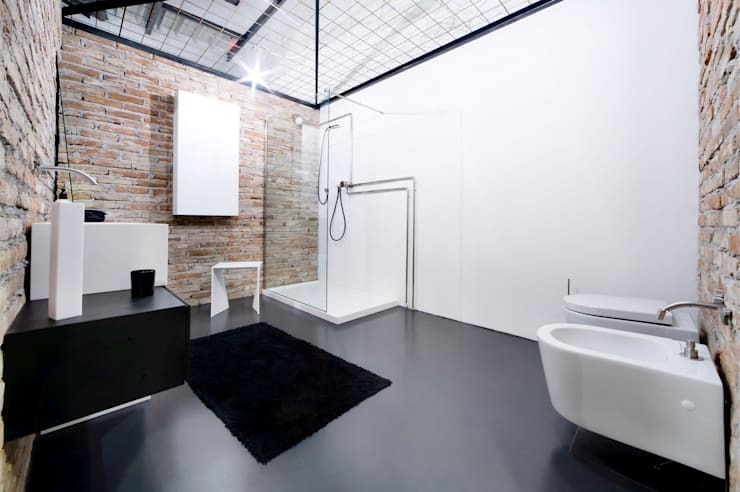 This bathroom has been designed with geometric lines, which define each space. The classic bathtub has been positioned on the side of the bathroom, perpendicular to the long sink and cupboard space. 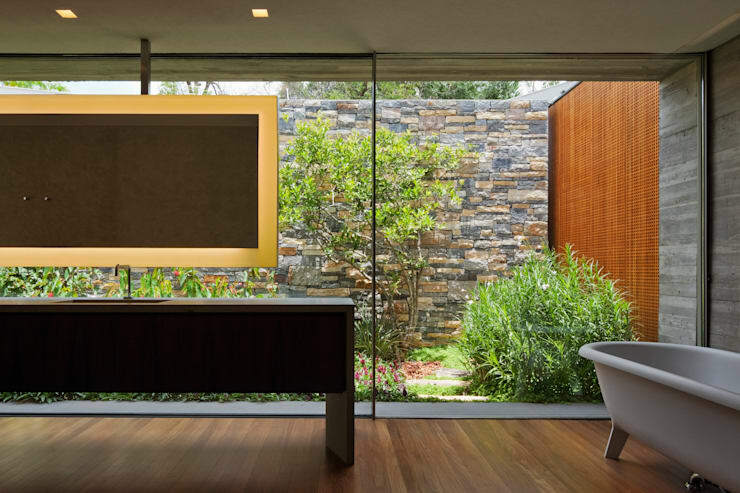 Materials used in this space include concrete, woods, marble and glass. This is a simple bathroom and is a symbol of extreme elegance. It communicates nature, silence and peacefulness. There is a strong presence of light, which streams through the windows. Combined with the wooden interior and you have the perfect cozy atmosphere. This is a space of intimacy, where the interior deisgner has chosen a very simple colour palette, based on the discrete. The shades are very similar and work beautifully together. The result is a sophisticated, elusive and stylish space. Out of every room in the house, the bathroom is the one that usually needs to be decorated with the most attention and in a special way. For many it is a sacred temple temple and a place to relax or meditate. You can transform your bathroom into a beautiful area, just like your bedroom, where you can enjoy moments of peace, tranquility and relaxation. Due to the wide variety of options available in the market, when it comes to different types of floors, tiles, textures, crockery, bathtubs, faucets and lighting, it can be a little bit confusing as to what to go for. But don't worry, with the tips that we are giving you and the wide variety of options that we have on display here, you will begin to piece together the type of decor that you want in your bathroom. For some more inspiration, you can also look through the homify bathroom products for inspiration. Opt for a special bath that suits your tastes and styles. There are so many options on the market. No matter what style you go for, make sure that it's big enough for you to relax in! A style that is particularly popular at the moment is the freestanding bathtub, which as you can see here creates a relaxing and tranquil atmosphere. While some bathtubs can feel a little claustrophobic; squeezed into a small bathroom, between a shower and toilet, pressed up against a sink or as a combined shower-bath, these free standing options create the exact opposite feeling. Reclining with a book, music or simply in silence feels incredibly spacious and open in an environment like this. If you've got space for a free-standing bathtub, definitely consider it. 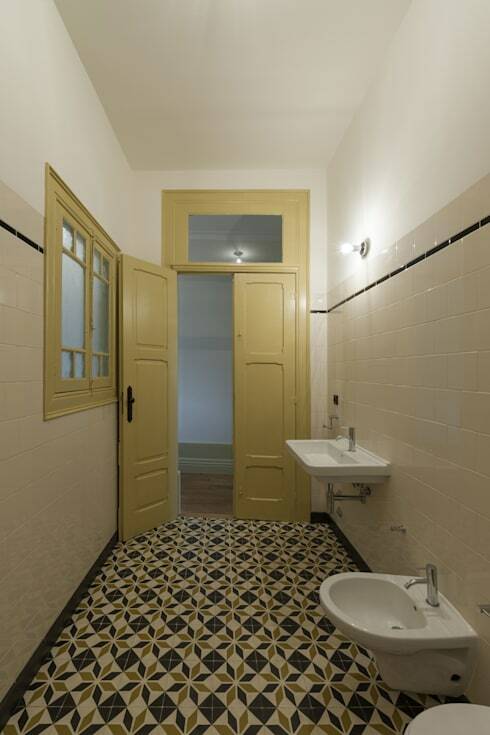 Linoleum is a synthetic material and is perfect for the bathroom floors as it is a waterproof fabric. However, it has its drawbacks. You don't want to install it directly on concrete, because it may create humidity between the two surfaces. In terms of price, however, linoleum is not the most expensive material, but it is cheaper than vinyl. If you do go for linoleum, make sure that you test the linoleum in the room where it will placed. You don't want it to increase or decrease in size due to temperature differences! 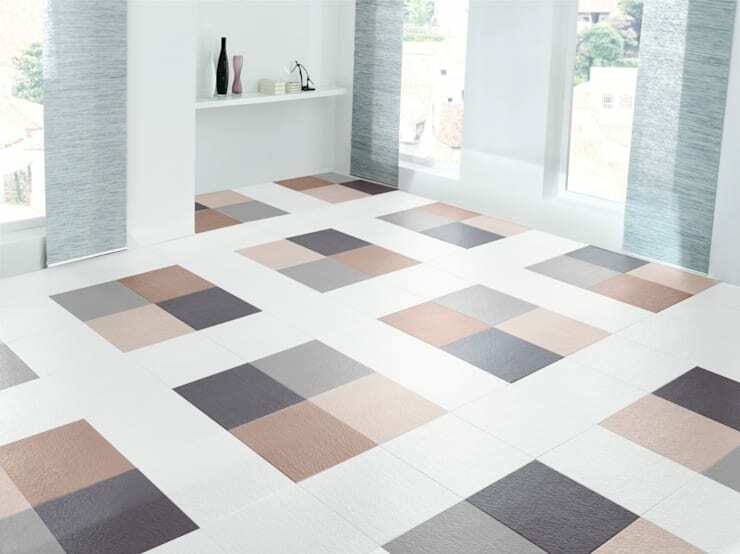 Don't you love these linoleum floors by B.W.D Handels GMBH? A great novelty on the market at the moment is underfloor heating, which is fantastic during winter! 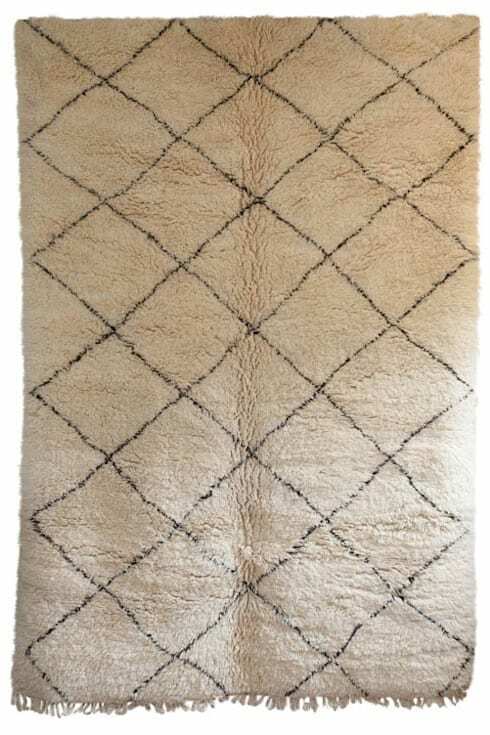 Just imagine stepping out of the shower onto a soft, warm rug. None of that freezing feeling when you transition from the shower back into the real world—this is all about comfort. It's a bit of a luxury, but if you've got the option and want to give your bathroom an extra cosy vibe, take a look into underfloor heating. This feature if very common, especially in environments where there is little heat, because why would you want to run the risk of thermal shock when you get out of the shower? Finally we come to the topic of one feature that is definitely worth having in your bathroom: the carpet. Artisinal, industrial, manufactured, expensive or cheap—it doesn't matter. Carpets have several useful functions: they make the space warm and cozy, they hide damages to the floor and protect if from scratches. They also muffle noise and are easy to store. You can also move the carpet around whenever you change homes! If you like this article, you'll love this one on: Antique touches in a modern apartment.